Going for a second or third interview with a potential new employer? How do you prepare? Having successfully cleared the first hurdle and being invited back for a subsequent meeting with a prospective new employer, what could possibly go wrong? 1. 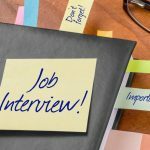 If after the first interview you don’t really know whether this opportunity is or is not right for you, then it is probably because you have not asked the right questions in the first meeting and this is probably down to poor preparation. Your first interview is as much part of your due diligence process as it is part of the hiring authority’s. So prepare well, ask the uncomfortable questions, do not assume anything and make sure that at the end of the meeting you know whether you want to be invited back or not. 2. However, if after the first meeting you are not 100% convinced that this is the right company, right position or the right fit for you then you must communicate this to the person who is arranging the second meeting. After all, if they weren’t 100% convinced that you were the right person either, then the chances are that this is probably not right for either party, therefore it might be best to stop the process and avoid wasting each other’s time. If it is decided that you should go ahead and meet a second time anyway, then this will be a very different meeting in which you can ‘clear the air’ and have a very open conversation about your and their concerns. Based on the outcome of this conversation both parties can decide to go ahead or abort, either way, you will come across as a professional, who wishes to carefully manage their career without making change for changes sake. 3. Assuming you are keen to go ahead and meet for the second (or third) time, then how do you prepare? How do you make sure that there is added value for you, rather than just a repeat of the 1st meeting, but with another person? Again, some of this will come down to the fact finding questions you asked in your first interview. Assuming you are meeting with a different person this time around, you may chose to verify your understanding around some of the facts you learned in the previous meeting – do I understand correctly that…? Is it true that…? As I understand it, this role will….? Your colleague described the culture as…., would you concur? Your aim here is to absolutely make certain that this is the right opportunity for you. 4. One good way of finding out about opportunities within the business is to ask questions such as – what will happen to the current person in the role? (if they are leaving, why? Were there no opportunities for further progression?). What is the average tenure of people in senior positions and what is their background? (in other words, were they external hires or were they promoted?). 5. It goes without saying that before the interview you need to do your homework on the person(s) you will be meeting. What is their background? Do you have common acquaintances or interests? If so, use these facts as an ice breaker. Depending on how well you got on with the first interviewer, you may ask them about advice on how to ‘handle’ the person you meet for the second interview. 6. If you prepared a presentation for your 1st meeting, make sure to bring it to your subsequent meetings too. Make sure to make any appropriate amendments based on your findings from previous meetings. 7. Do not assume that everything you told your first interviewer has been passed on to the next interviewer. Be prepared to give a repeat performance. 8. It may be that an offer is extended in this meeting, make sure beforehand that you know what your expectations are and particularly make sure that you know what your minimum is, below which you will not accept. If you are offered in the meeting and it is below your expectations, do not decline or comment on it. In stead, thank them for the offer and ask whether you can think about it for 48 hours. Your search consultant / head hunter should negotiate the offer, after all, that is what they are paid for, so let them earn their money and expect them to negotiate an offer that will be acceptable to you. On the other hand, if the offer in the meeting meets or exceeds your expectation, then accept it and ask for it to be confirmed in writing. 9. Based on the information gained in the first meeting, you will probably have some idea of how you would tackle the challenges in the role. In most cases, it is worthwhile clarifying your understanding around these challenges, before giving an overview of your first 100 day plan. It does not need to be too detailed (unless asked for it), however they need to know that you have thought it through and that indeed you have a plan…! 10. Always, always, clarify at the end of the meeting what the process will be from here on (another two meetings? Who will make the final decision?) and to what timescales they are working. You need to manage your own expectations here and if possible, create a bit of urgency. Congratulations if you’ve reached second interview stage! If you have any questions or need more advice, feel free to contact me.